Today is another catch up project that has been sitting on the corner of my desk for a year or so. Yes, a year! 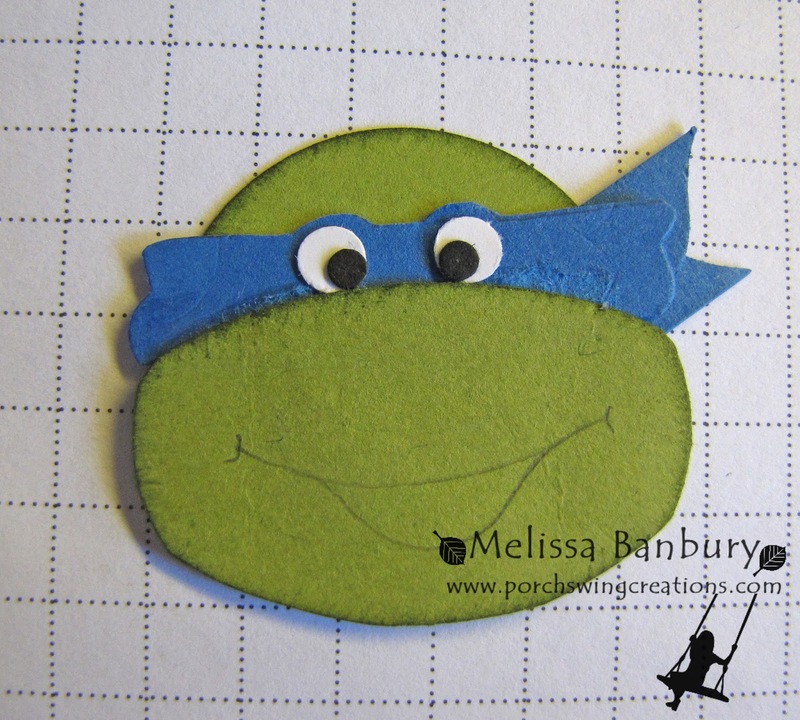 I posted this "old school" Ninja Turtle card for my older son's last birthday (you can read the original post HERE) and have been asked numerous times since posting it if I could share a tutorial. Within a couple weeks of the original post I did in fact make a tutorial, then for some reason just never got around to completing it to make it post worthy. 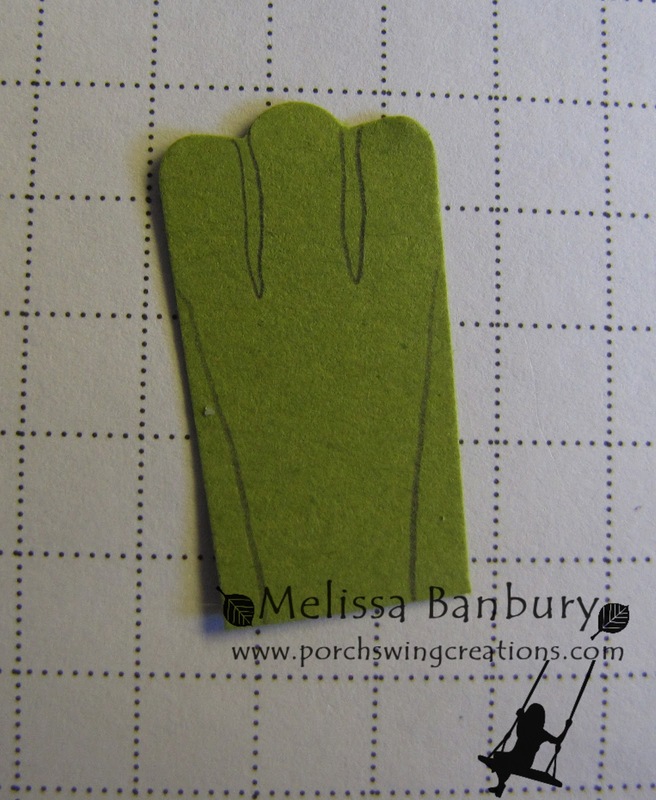 Because I've waited so long a couple of the punches I used on the original card have since been discontinued (yes, I've learned my lesson! LOL) But don't fret! 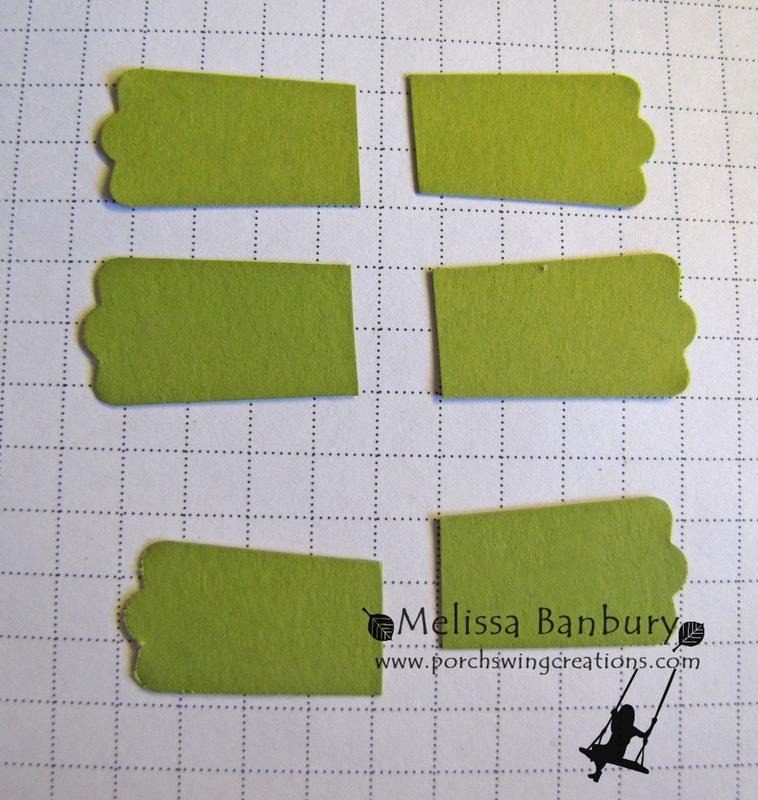 Even though the photos show me using the discontinued punches, I have current punch solutions to make it all work out in the end! And if you have the old punches on hand, feel free to use those too! Insert the ends of the Large Oval back into the top portion of the Large Oval punch (the small oval punch was used in the photo but the Large Oval punch will work just the same by lining it up similar to the photo) and punch. 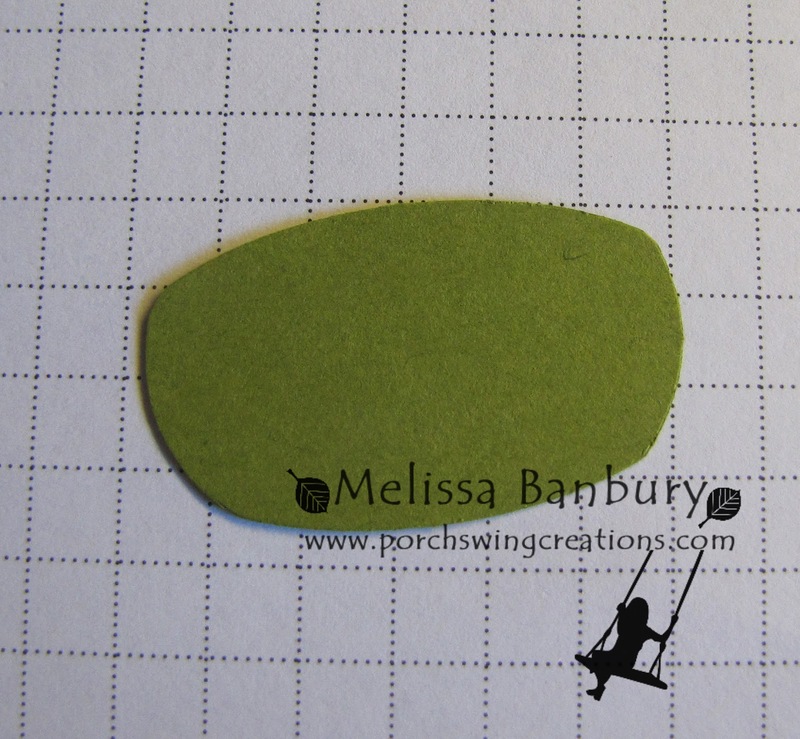 The Old Olive Large Oval should now look similar to the above photo. 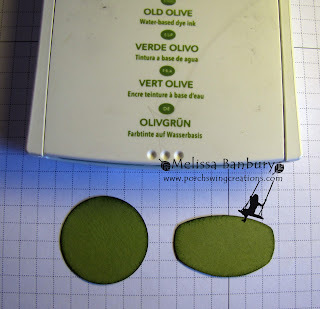 Sponge the edges of the Old Olive Circle and Oval using Old Olive ink. 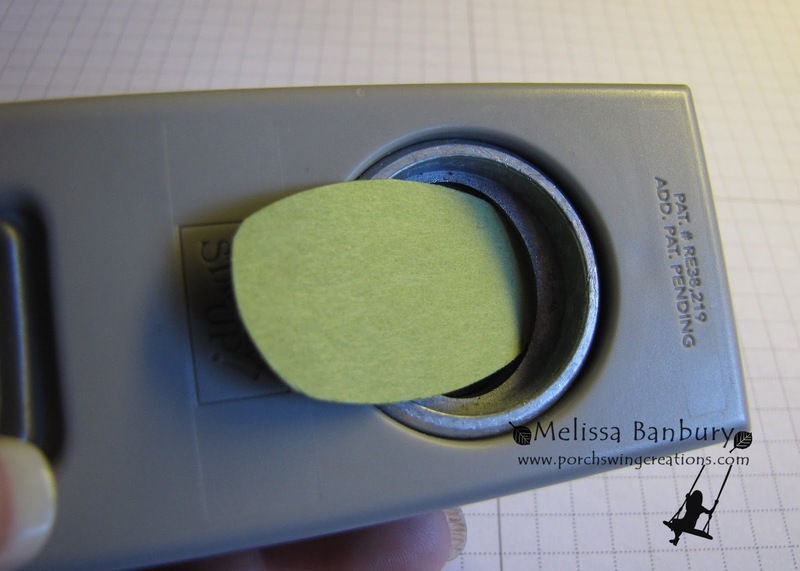 Insert both the ends of the Word Window piece into the curved edges of the Cupcake Builder and punch. Use the photo above as a guideline. 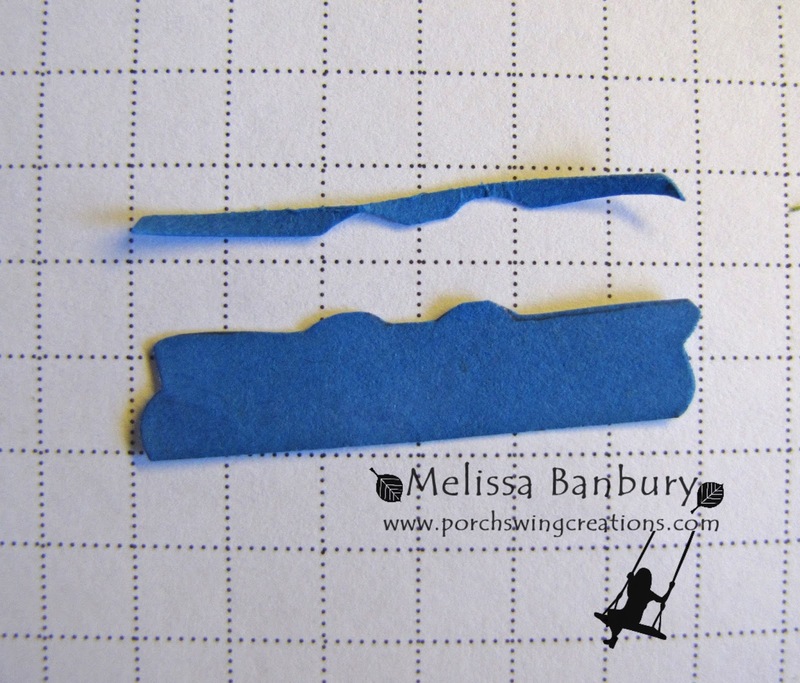 Trim away a small portion at the top of the Word Window piece to resemble the area above the eyes and create an eye mask. Use the photo above as a guideline. Cut the heart from the Itty Bitty Punch Pack in two vertically. 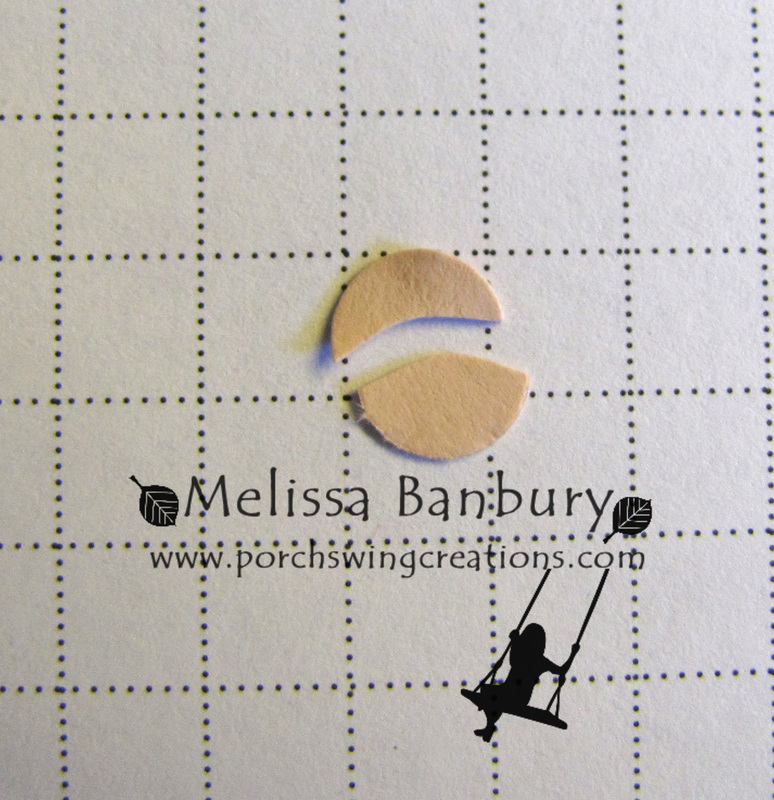 Cut away a small curved section of the Blushing Bride circle. Discard the top piece, only the lower will be needed for this tutorial. 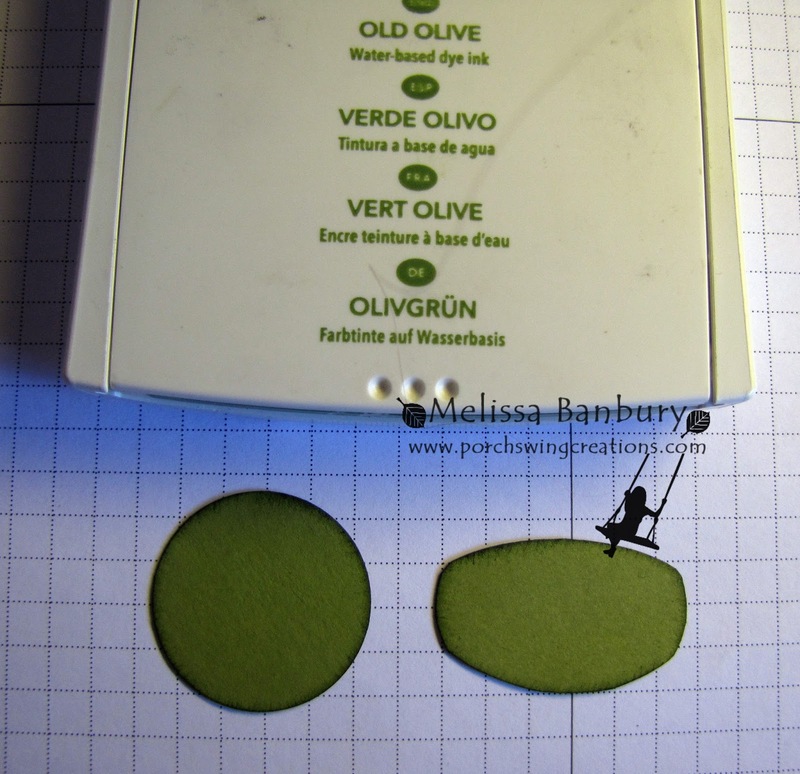 Using Multipurpose Liquid adhesive, glue the mask behind the altered Old Olive oval. 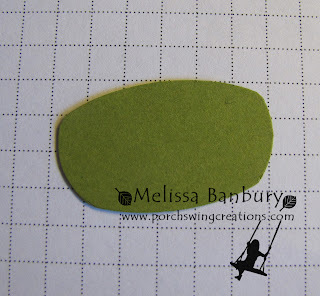 Glue the Old Olive 1-1/4" circle into place behind the mask area. Glue the Whisper White circles into place on the mask, just below the "bumps" created earlier on. 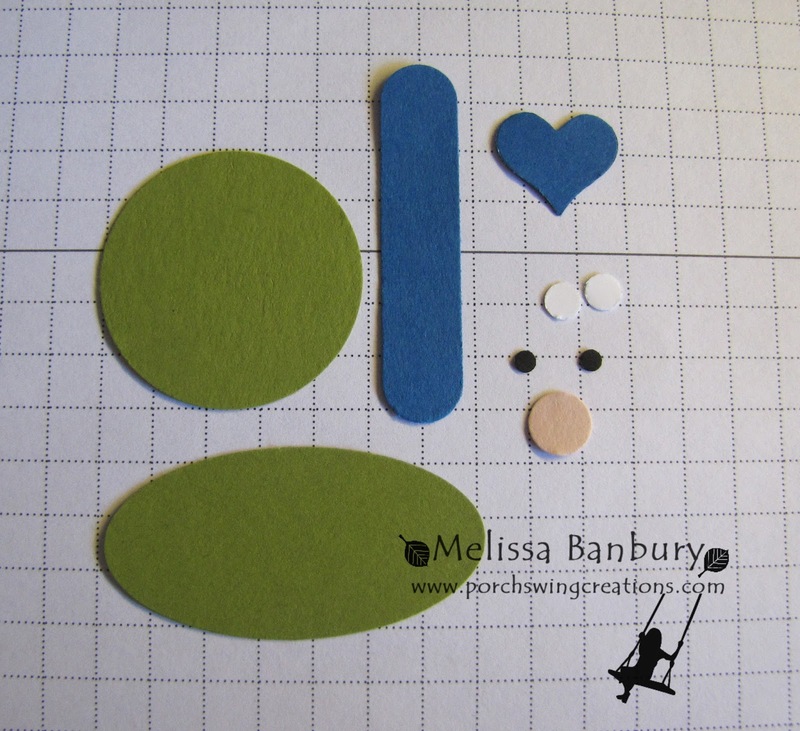 Glue the small Basic Black circles onto the Whisper White circles to make pupils. 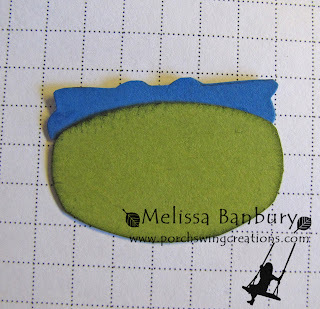 Glue the heart halves behind the face mask to create the mask ties. 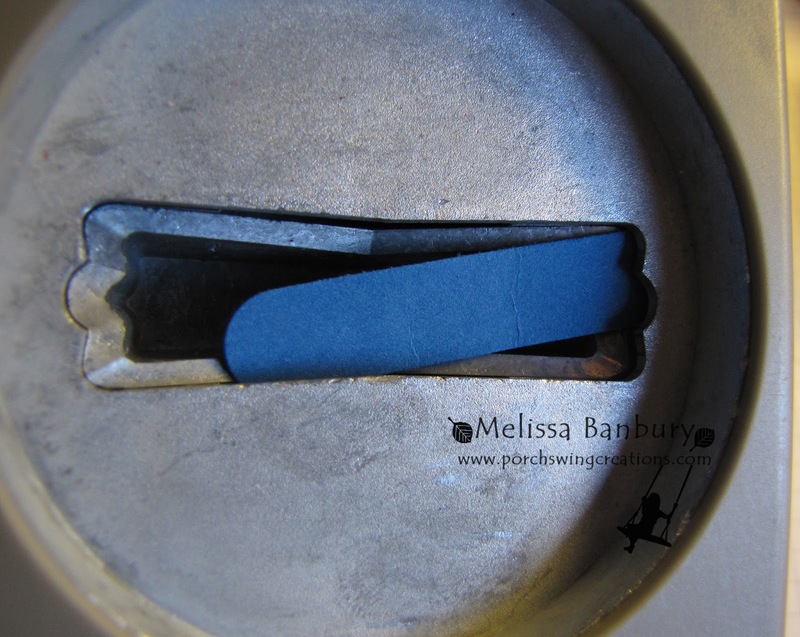 Place the straight cuts to the outside and the curved portion facing inwards. Sketch on a mouth with a pencil. Fill in the mouth with a Basic Black marker. Use the marker to draw a line where the nose indentation might be, around the eyes, create eyebrows, and mask details. 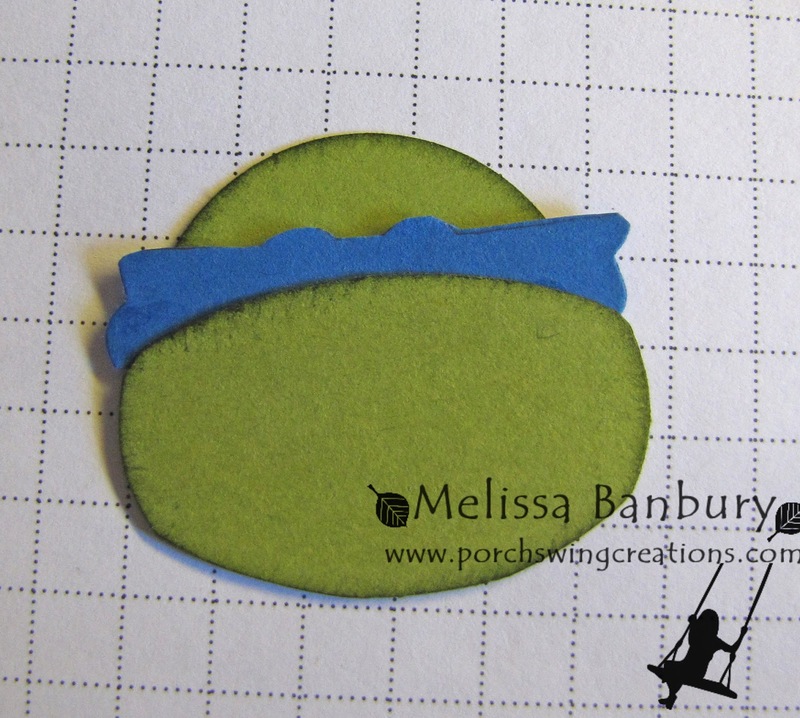 Glue the Blushing Bride half circle into place onto the mouth for the tongue. 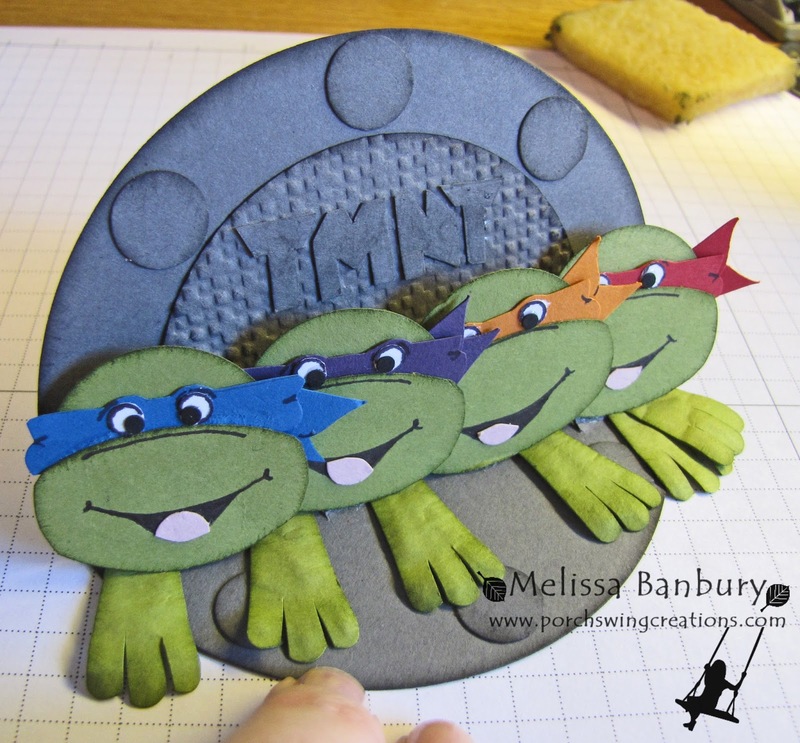 Follow the same steps as above to create each of the four turtles. 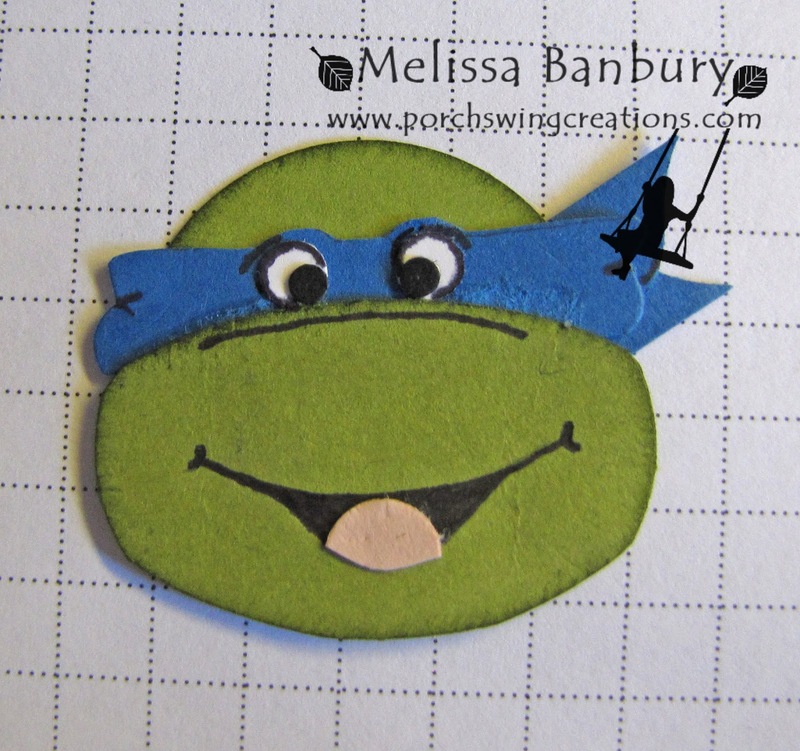 Raphael used Real Red card stock, Donatello Elegant Eggplant, and Michelangelo Pumpkin Pie. 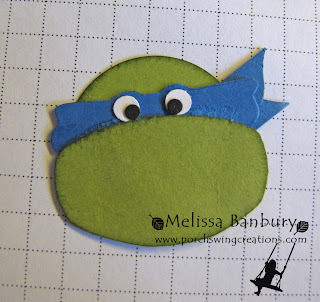 Cut 2 lengths of Old Olive card stock approximately 1" long for each turtle. 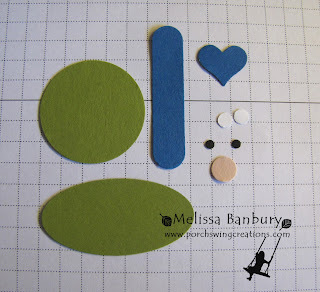 Create "fingers" using the base of the Cupcake Builder. 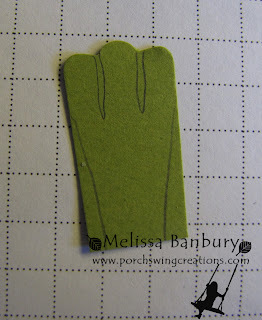 With a pencil trace out a hand shape onto each piece. 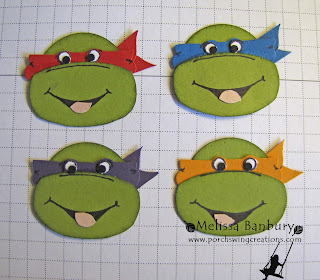 Only three fingers are required for each turtles hand. 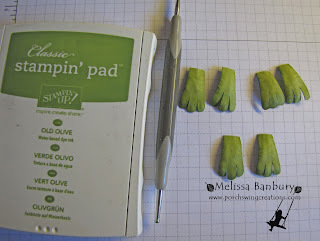 Cut each hand out and sponge the edges with Old Olive ink. Flip each hand over and with a Stylus tool and foam pad gently give each hand dimension. 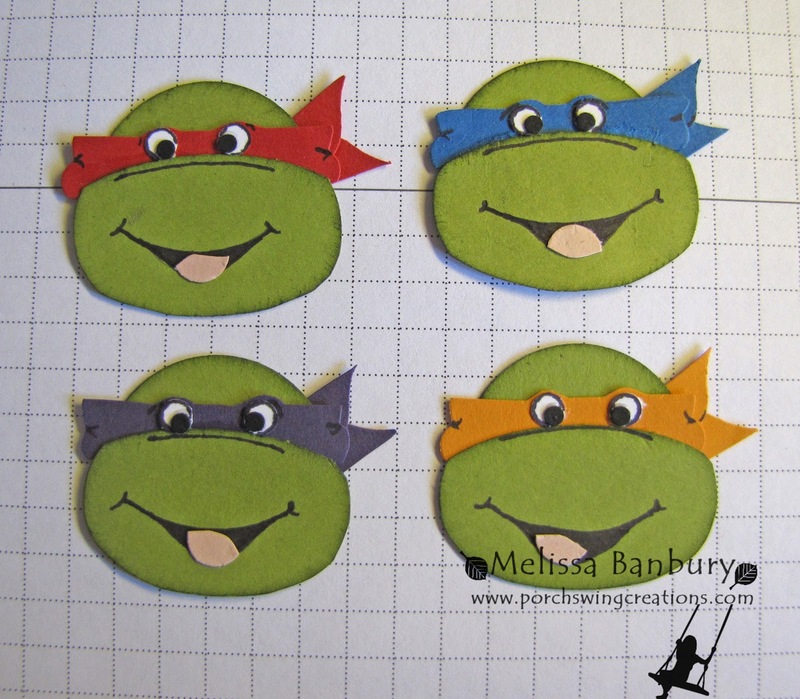 Place the assembled turtles on a background of your choice and complete the card. 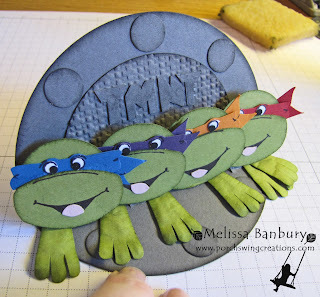 In the case of this card I dressed up one of the larger Circle Framelits to look like a man hole cover and layered the turtles inside so they appeared to be crawling out. I hope you've enjoyed this much overdue tutorial! 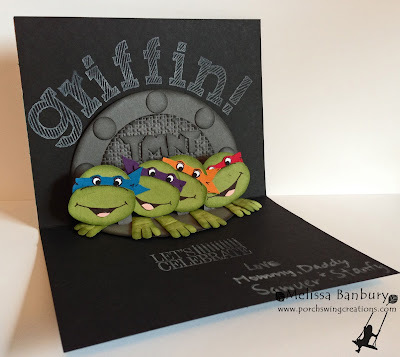 I'm sure there are a few boys out there that still love the old school TMNT and I know there is a few older variety boys that definitely do and would much appreciate a card like this! Please let me know if you have any questions; I'd be glad to help out! 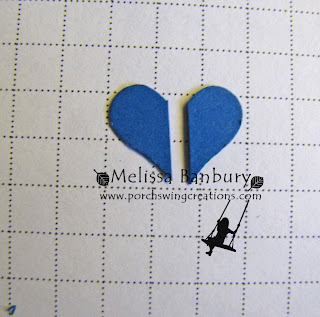 And don't forget to sign up for the Holiday Newsletter if you haven't already - tomorrows post is Week #6. This week were sharing a little cup of cheer! What a wonderful tutorial!! What a great idea for those that create cards for children in hospitals to help brighten their day. Thank you for posting this step-by-step guide, and please continue creating. 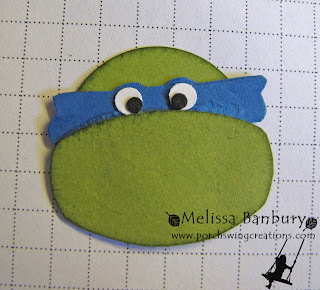 Love your creations!! Thank you for sharing this tutorial. I know lots of little boys who would love to get a card like this! Oh My Goodness! Those are fabulous! You did a great job with the tutorial, so easy to understand and follow. Thank you for posting this. I can hardly wait to give it a try. I love Doris' idea for brightening the day of a child in need of some joy!